Buying or selling property in Sydney? Are you looking for a Sydney Property Conveyancer? Just Conveyancing Sydney, a division of Hones Lawyers Pty Ltd, is dedicated to property law and conveyancing. We can help you whether you are buying, selling or transferring property anywhere in New South Wales. Entrust your important property transaction to a firm with appropriate qualifications, experience and professionalism. Just Conveyancing Sydney is such a firm. Our senior solicitor has over 30 years' experience in NSW property law and is supported by our qualified licensed conveyancers and paralegal staff. We offer competitive fixed fees and full disclosure of all related expenses. Enjoy our high service levels and reputation as one of Sydney's most trusted conveyancing firms. We'll review your contract and negotiate terms. Our conveyancers carry out extensive property searches. 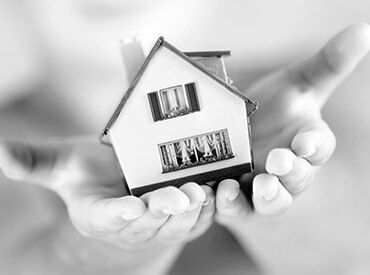 We offer a fixed fee conveyancing service. Our team is headed by a solicitor with over 30 years’ property law experience in New South Wales, supported by suitably qualified Licensed Conveyancers and Paralegal staff. Rebecca H and Phillip L.
Hi David and Merisa, Thank you so much for all your effort and time which you have put to finalize our purchase contract. We are happy and moved to new unit yesterday. Best regards. Their great level of communication and understanding helped and guided me through the entire process. I am incredibly happy with my new home and couldn't have hoped for a smoother settlement. The team was so quick with responding to any action required, and communicated it flawlessly, very happy with their expert service.